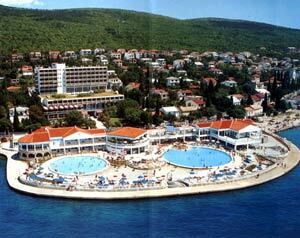 A small coastal town situated in a picturesque bay, in the close vicinity of Crikvenica, 40 km south of Rijeka. Pretty beaches and walks along the sea and a great variety of cultural, entertainment and sports events during the season (folk dances, concerts, exhibitions, shows etc.) 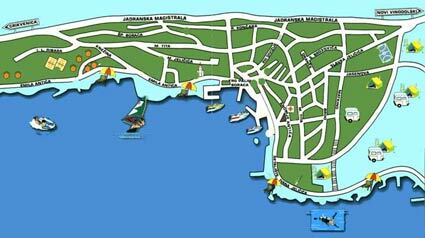 provide the guests with an opportunity to spend pleasant and enjoyable holidays. Accomodation is offered in 5 hotels, 2 auto-camps, in pensions, holiday homes and in a large number of rooms and apartments available for rent in modern well furnished private villas. Its balmy climate enables a pleasant stay in any season. Health oriented activities make Selce one of the well known health resorts for the treatment of coronay and rheumatic diseases, and those of respiratory organs. It is also a place suitable for physical medicine and rehabilitation (Terme Selce). Furthermore the guests can avail themselves of a restaurants, coffee shops, pizzerias, snack-bars, pasty shops, bistros, a bank, a post office, anibulance, a small port, tennis courts, minigolf, diving center etc. Selce has much to offer. Come and see for yourself!